Two men have died in a crash involving two cars in South Yorkshire. 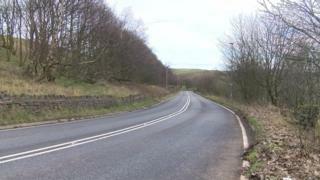 Police said the fatal collision happened near to Fox Holes Grove in Whams Road, Barnsley, at about 18:15 GMT on Friday. Two men who were travelling in a BMW Z3, aged 57 and 23 years old, died at the scene. A 39-year-old woman who had been driving the second car suffered minor injuries and was taken to hospital, South Yorkshire Police said.